To create this card, I first created the background. I painted some pink and blue paints from my Gansai Tambi 36 Color Watercolor Set. I then used my Gansai Tambi Starry Colors Paints to coat the cardstock (after it's dry) with a gold shimmer. 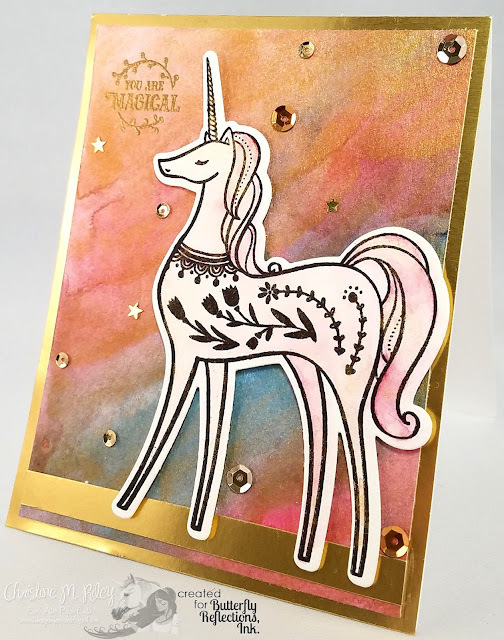 I then stamped the beautiful unicorn from the Unicorn Dreams Stamp Set from Pinkfresh Studio onto watercolor paper and the used my Gansai Tambi 36 Color Watercolor Set to paint a faint pink hue to the image. I then used my Gansai Tambi Starry Colors Paints to coat the image (after it's dry) with a gold shimmer. 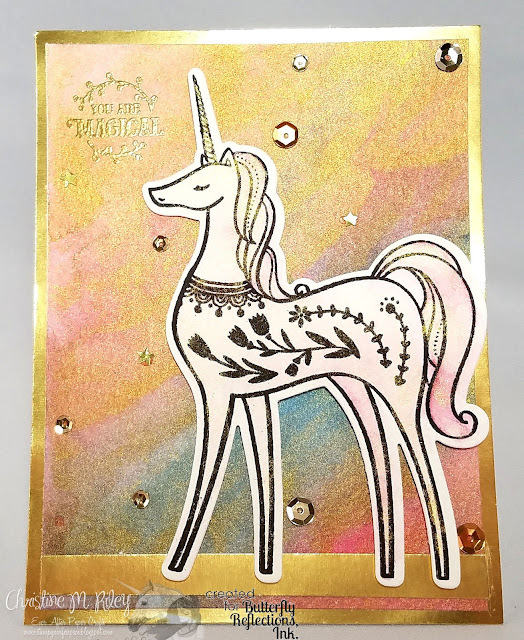 I then cut the unicorn out using the coordinating Unicorn Dreams Fresh Die Set to cut the unicorn out. I then adhered my unicorn to my watercolor panel using foam tape. The gold foil paper that I added came from my stash. 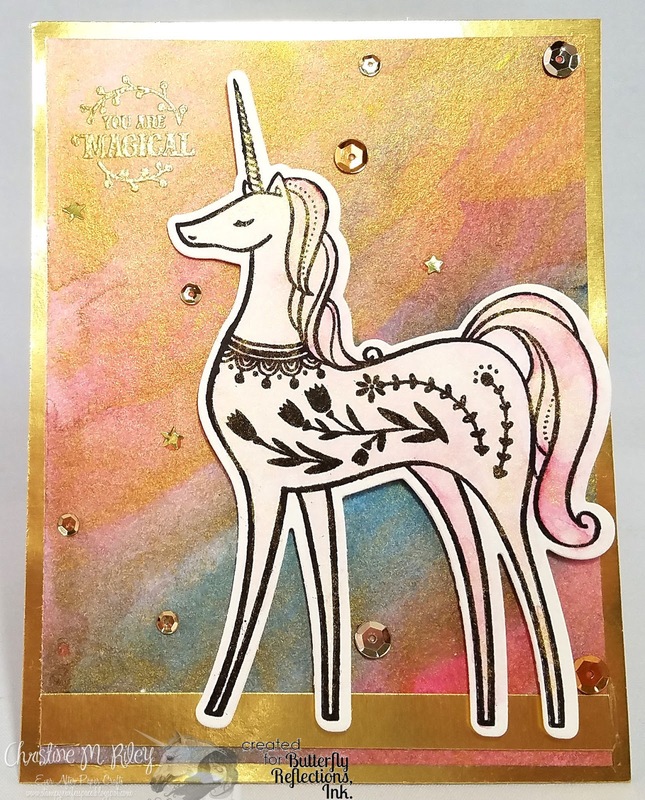 I heat embossed the sentiment, also from the Unicorn Dreams Stamp Set from Pinkfresh Studio, with gold embossing powder directly onto the watercolor panel. I then adhered the panel to an A2 sized card base using foam tape. What do you think? Well, that's it from me today. Thanks so much as always for stopping by. Huge hugs!! Wow !!! That's an amazing card, the background is just stunning ! !